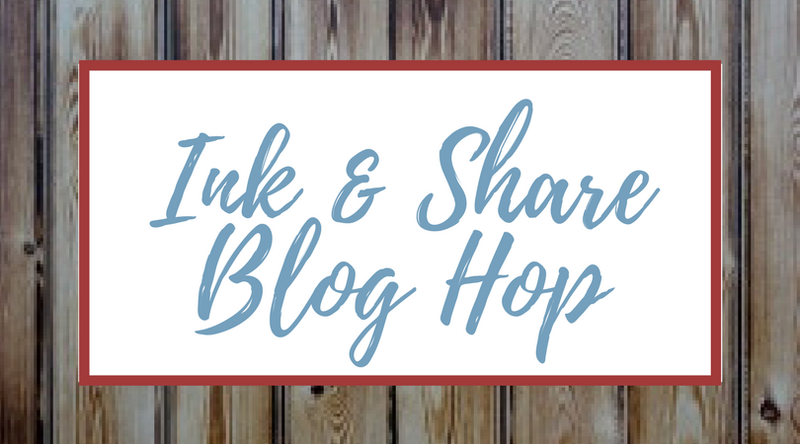 Hello and welcome to our blog hop. 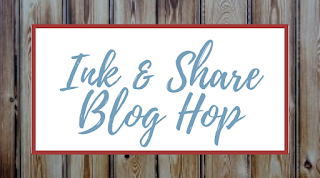 My names Linda and I have got together with some other Stampin Up Demonstrators to inspire you. We are all over the world but I live on a small island in Essex, UK. 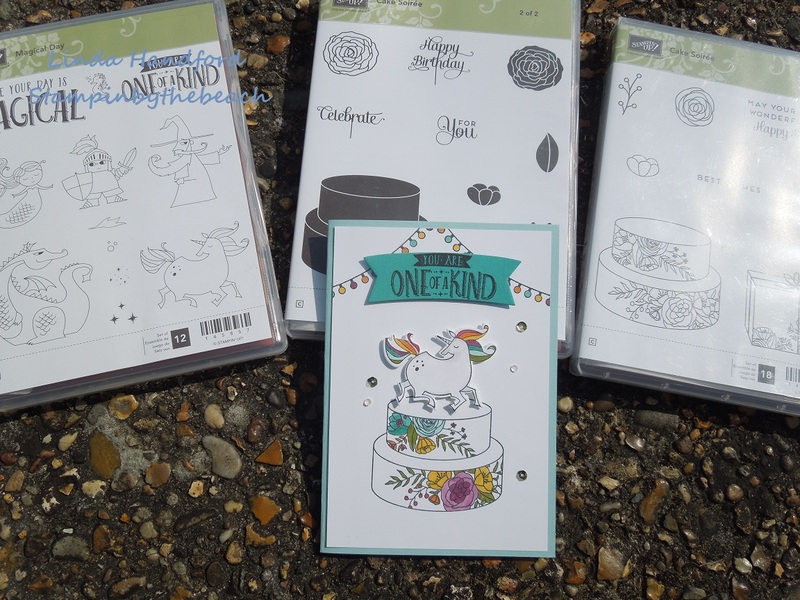 This month we have a theme of Occasions Catalogue, our favourite stamp set items. I was lucky to be chosen as a Display Stamper in November 2017 which meant I received a box of new items before the Occasions Catalogue was released so I could design cards etc to inspire demonstrators at the Onstage event. I received the Magical Days and the Cake Soiree stamp set amongst other items and Magical Days became my favourite. I've combined them for this card! This was an easy card to make, I started by stamping the cake and the unicorn and then colouring with my Stampin Blenders. I cut the unicorn with my matching die and popped the unicorn on top of the cake, unicorn is mounted on a dimensional. 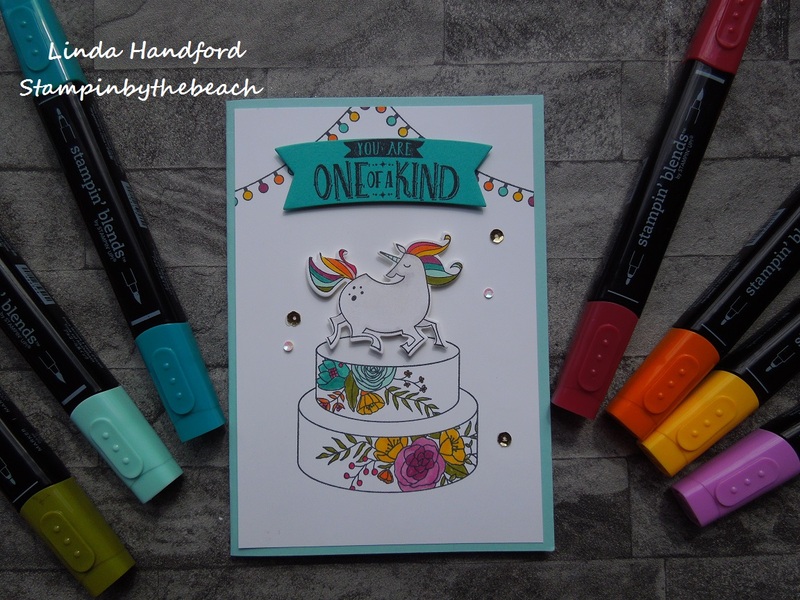 The top of the card needed something so I added the garland and coloured in the same colours I used for the cake and unicorn. To finish I stuck a few sequins for a bit of bling! 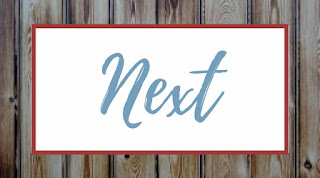 Don't forget to hop along, just click on the next button to see Cindy Mitchell-Clark's very pretty card.